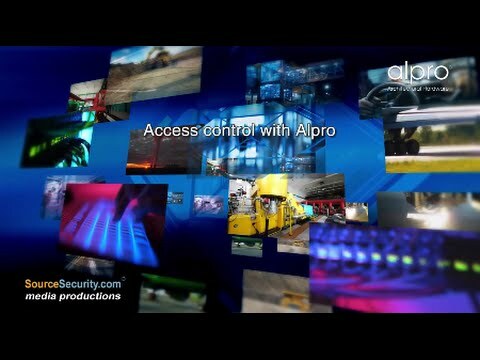 Access control keypads from Alpro Architectural Hardware have been used at Saint Pancras International Station in London as part of security upgrades during the largest rail refurbishment project in the UK for a century. The Alpro keypad has an ingress protection rating of IP68 and its design has proved robust in a demanding environment by providing protection against airborne contaminants including brake pad particles which are a familiar problem at railway stations even in areas away from platforms. St Pancras is now an international arrival and departure point where demarcation of passenger from staff sections with suitable access control is vital. The keypads are ensuring that entry to operational areas of the station is restricted to appropriate personnel, so contributing to protection of the travelling public. Alpro’s bright aluminium keypads are vandal-resistant and suitable for up to 200 users. They are available as self-contained or two-part units and there are surface or mortice-mount variants for both. Benefiting from piezoelectric technology, whereby pressure on the sensors is converted to an electrical charge, the keypads have no moving parts. The numbers are hard-anodised into the case; they will not wear off and cannot be stuck down with gum. At St Pancras, the keypads have been deployed internally but they are also suitable for external use. Even in major transport hubs of this kind, space is always at a premium and installers will appreciate the slim-line design with dimensions of 44.5 mm (w) x 181 mm (l). The units’ security plugs offer tamper resistance, and users can employ various length codes – from 4 to 8 digits – simultaneously. There is a 2 amp chargeover relay and the anodized graphics contribute to durability. The keypads have timeout functions for both code entry and programming. Saint Pancras International Station acts as the London terminus for all passengers travelling on Eurostar from France, Italy, Germany and other continental destinations. When completed in 1868, the 100-metre high single-span train shed was the largest enclosed space in the world. But the site was threatened by developers in the 1960s and only saved after a campaign headed by the poet laureate Sir John Betjeman.